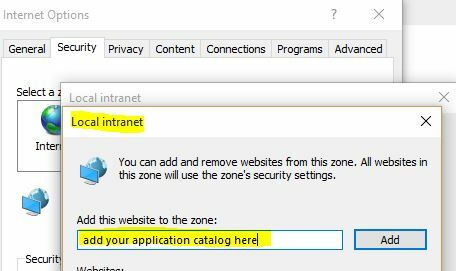 If you start using the Application Catalog from Configuration Manager 2012 R2 SP1 you have to configure some settings before the users can access it. Probably you recieve a login propt when accessing the application catalog from your client. This steps will allow you to use the Application Catalog without any logon prompts. Configure also your Enterprise Mode settings when you use Windows 10 EDGE Browser. EDGE does not support Silverlight but the Software Center and the Application Catalog is using Silverlight.